CHRISTIANSTED — The Virgin Islands Department of Health reported three new cases of the Zika virus in the territory, but none of the new cases involved a pregnant woman. According to the weekly surveillance report, there were also 15 cases of dengue in the territory, the Health Department said. There are now a total of 24 confirmed Zika cases in the USVI; with 15 cases in St. Croix, 8 cases in St. Thomas and 1 in St. John. To date, 647 pregnant women in the USVI have been tested for Zika, and three were confirmed positive. Zika is spread primarily through the bite of an infected Aedes species mosquito. The most common symptoms of Zika are fever, rash, joint pain, and conjunctivitis (red eyes). The illness is usually mild with symptoms lasting for several days to a week after being bitten by an infected mosquito. People usually don’t get sick enough to go to the hospital, and they very rarely die of Zika. For this reason, many people might not realize they have been infected or may be infected and have no symptoms. Zika can also be spread sexually. For pregnant women and their unborn children, the consequences are much more severe. Pregnant women infected with Zika can pass the virus on to their unborn baby, which can cause a serious birth defect called microcephaly that is marked by smaller-than-normal heads and brains. This, in turn, can lead to long-lasting mental disabilities. · Zika Prevention Kit, which includes educational materials, insect repellent, permethrin spray repellent for clothing, condoms to avoid sexual transmission of Zika, treatment tabs for preventing mosquitoes from breeding in standing water, and a bed net. 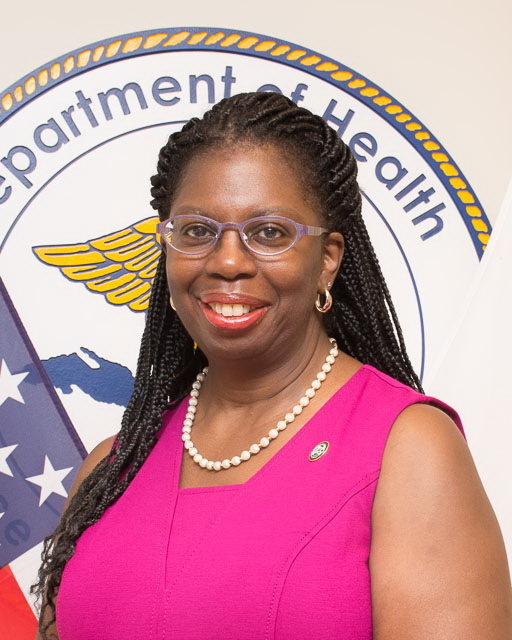 “If pregnant women face any challenges getting tested at any of the free Zika testing locations listed on the DOH website, call our Emergency Operations Center and we will connect you immediately to the appropriate testing services,” said Jones. Zika testing is also available, free of charge, to anyone exhibiting signs of infection, such as fever, rash, joint pain, or red eyes. To support its response to the Zika virus, the USVI Department of Health is working closely with the Centers for Disease Control and Prevention to strengthen efforts to track the outbreak, enhance laboratory services for faster testing results and get the word out about how you can protect yourself against Zika. For local information about the Zika virus, to have an expert come out to your group or organization to share more about Zika or to receive any of the Department of Health’s free services, call the Department of Health Emergency Operations Center at (340) 712-6205 or visit www.healthvi.org. For more general information about the Zika virus call toll free: 1-800-CDC-INFO.